It has been a tragic morning. News of the deadly shooting has ruined my weekend. I feel sick. How is it possible, that someone can just walk into a school and empties his bullets on young children, and adults armed only with books and stationery? Latest reports say that at least 27 people are dead, including 18 elementary school kids. It makes me wonder what kind of a deranged world we are living in. We are not even talking about guerrilla warfare or terrorist attacks like the ones during September 11 back in 2001. We are talking about the shattering of all interpretations of peace in the midst of civilians just having a normal day. How is it possible to have true peace? We have all heard it before. The phrase, "We are all peace-loving people" are used so common like the way we greet one another, "How are you doing?" Interview an Arab and they will way, "We Arabs are peace-loving people." Interview a Chinese and they too will say, "We Chinese are a peace-loving people." Talk to a Jew, and they can easily say, "The Jewish people are peace-loving people." In fact, talk to any leader in this world, and they will say things like, "My country is a nation of peace-loving people." 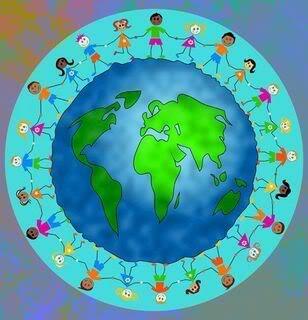 So, if we say we are peace-loving, surely we will have more peace on earth, right? Wrong. Saying peace-loving is one thing. Actually living it out is another. For, if it is indeed true, that everyone says, believes, and behaves, as peace-loving people, then explain to me why there are so many wars going on right now? From Asia to the Middle-East, from civil wars to political battles, we are seeing a world that is increasingly crying out for peace. Saying peace-loving is not enough. We need true peace. What if there is no chance for everlasting peace as far as our world remains brittle, insecure, and suspicious of one another? If you cannot have peace, maybe the next best thing is to keep the peace as much as possible. That is like maintaining the status quo. No ruffling of feathers. No disrupting of current procedures. Simply keep the peace. Let everyone live their own styles. Stay away. Keep a distance. Hopefully, we can keep the peace as long as possible. Jean Vanier tells a story of a trip to Hungary where he sees two neighbouring towns having their own language, their own infrastructure, their own programs, and their own people preferences. They live isolated cocoons in their own world. No interaction. No engagement. No interference into the affairs of the other. Just like the United Nations Peacekeepers being asked to maintain the peace of volatile regions, especially after a ceasefire. Recently, a group of rebels called the M23, entered the city of Goma in the Democratic Republic of Congo. As government soldiers fled the city, together with more than 100000 civilians, the rebels killed, looted, even raped terrified people. The more than 1900 UN peacekeepers simply stood by without lifting a finger to help. Mind you, the UN force in Congo is the largest in the world! It reminds me of the famous quote by Edmund Burke. Without a doubt, we are in need of true peace. We are in need of an everlasting peace. More importantly, we need the true Peace that only God can give. The tragedy of wars and violence around the world will not be resolved anytime soon. History has shown us that people are more prone to wars than peace. That is simply because sin by nature is divisive. It tears us away from God. It breaks our spiritual connection with God. It ruins our relationships with one another. It continues to wreak havoc in all creation. True peace cannot be obtained just from talking about it or maintaining the status quo. If we just talk about it, we are just skirting the surface on the basis of our own convenience. We are just chatting about our comfort zones, without making any commitment toward helping our neighbour. True peace means tough talk. True peace means to walk the talk. True peace means active engagement of all that matters. No condescending talk. No superiority or inferiority complex. No shortcuts to a necessary marathon. The trouble with peacekeeping is because we simply let sleeping dogs lie. Whatever conventional wisdom there is in that phrase, when the dogs wake up, and decide to bite a chunk of flesh off the victim, it becomes war. Human beings are more prompt to retaliate hard and fast when intimidated or provoked. You hit me, I hit you back. You sue me, I counter sue. You start the fight, I retaliate. Pray for the peace of Jerusalem. Remember that this is the Psalm of David, as he leads the approach to the temple of Jerusalem. When we go to the House of God to pray, we need to be in reverence when approaching the Holy throne of grace. We need to be aware of our own sinfulness and our renewed purpose. You may ask, if the psalm is pertaining to the people of Israel during David's time, how is it then still applicable to us in our modern age? The answer is this. Peace is not the domain of any one people group. As seen from the tensions around the world, there are wars happening and wars about to happen. There are arguments and disputes that threaten the peace. In the Asia-Pacific region, China and Japan are in a tense standoff over the disputed islands. They are even disputing the name of the islands, China referring them as "Diaoyu Dao" and Japan calls them, "Senkaku-Shoto." Even Taiwan has laid claim to the territories. When we pray for the peace of Jerusalem, we ask ourselves. Are we God's people? If yes, we are to pray for the peace of the world beginning with ourselves. Are we the children of God? If yes, we are to be peacemakers. Matthew 5:9 reads, "Blessed are the peacemakers, for they will be called sons of God." Are we serious about world peace? Then, be peacemakers rather than peacekeepers. Are there political conflicts? Then do not simply talk about it from a distance. Work on it up close and personal. One of the reasons for the deterioration of Middle-East peace process, especially the one brokered by the United States is the relatively hands-off approach during the recent 20 years. In a major study of US-led Middle East peace process, five researchers have lamented about no significant peace milestones, at least none since the days of Ronald Reagan and Henry Kissinger. In an upcoming book, The Peace Puzzle, these researchers see the role of the US President as key. The President must engage and stay engaged to the commitment of long-term peace between Israel and the Palestinians. The US must be equally tough negotiator like the two warring factions. Peacemaking is no marshmallow business. It is tough going. Truth it, not working on it is even worse. See the connection? True peace comes back to the heart of the individual. When we pray for the peace of Jerusalem, we cut through all kinds of nice ideas about peaceloving people in the world. We breeze past the superficial promises of nations only interested in their own domestic matters. We dispel the deceptions of perceived peace in busy cities that claim to be at peace, but in their interactions they seem more at war, ready to find fault with people. We break down barriers that distance us from our neighbours. We open the channels of communications inside our homes. We let God bring peace first into our hearts. For if our hearts are not at peace, we are ready to war on anyone, including our loved ones. The shooting at Newtown, Connecticut, continues the trail of tragedies and brokenness that began because someone, somewhere, has not found peace with others, and peace with oneself. The fact that the gunman has struck at young children is a direct attack on peace. 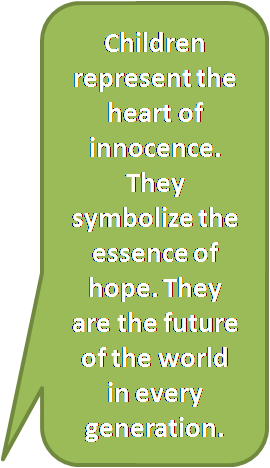 Children represent the heart of innocence. 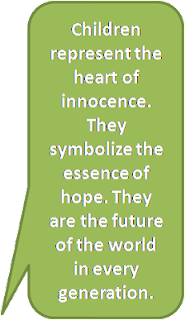 They symbolize the essence of hope. They are the future of the world in every generation. Everywhere we go, children is a symbol of play and peace. We cannot let our peacemaking efforts be derailed. We need to protect all children, others as well as ours. We need to keep making peace, in a world that is hostile to peace. Join hands with people. Sing together. Play together. Pray together. There will be differences ethnically or culturally. There will also be differences in our lifestyle choices and preferences. The thing to remember is this. This world is large enough for everyone. Peacemakers know this by heart. They will grow big hearts. They will become better and better peacemakers. This Christmas, can we pray to be better peacemakers? There is no point talking about it, or dreaming of a utopia when we are not active participants. A day not invested in peacemaking is a day lost. Pray for the peace of Jerusalem. Pray for the peace of every nation, every city, and every family. Pray for ourselves, that we do not just mumble about peace or grumble about war. We must be at the center of peace, wherever we are. Christ is the Prince of Peace. May this season, may we follow Christ even more in the path of peace, beginning with peace in our hearts.